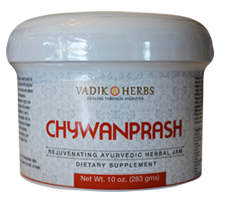 Ayurveda traces its origins to the Rig Veda, the world's oldest surviving book in an Indo-European language. The Rig Veda, 3000 B.C., is a cosmological treatise that addresses not only the nature of life but also the foundations of health and causes of disease, including the three doshas—vata, pitta, and kapha—and the uses of herbs for healing diseases, both physical and psychological ailments. Ingredients: Proprietary Blend of fresh Tamarindus indica fruit, Terminalia chebula fruit, and Phyllanthus amarus leaf extract in honey, distilled water, organic alcohol, and vegetable glycerin.